Here’s what your 2017 Audi R8 will cost. The easy-driving R8 V10 will start at $164,150 while the 610-hp R8 V10 plus will sticker at $191,150. The last V10 plus came in at about $173k, so this is a significant jump in coin, but it’s also a significant jump in performance. 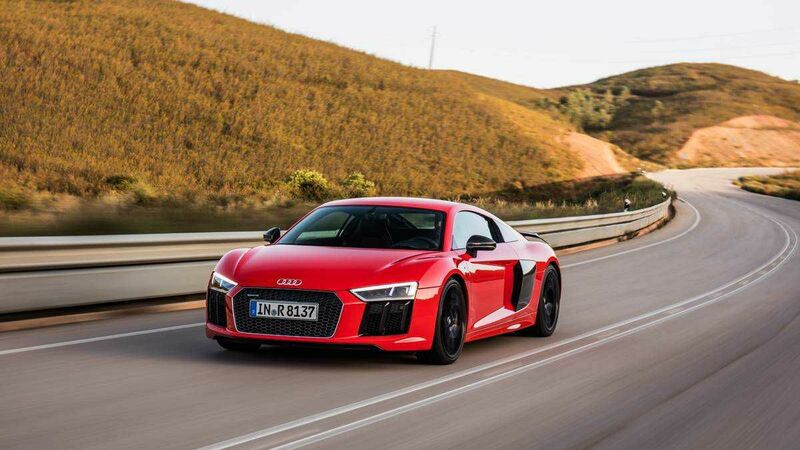 The new-generation R8 now makes 540 hp and 389 lb-ft of torque in base trim or 610 hp and 413 lb-ft in “plus” versions. The plus weighs 77 pounds less than the standard, gets to 60 mph in 3.2 seconds and has a top speed of 205 mph. A seven-speed dual-clutch transmission sends power to whatever wheels it deems fit. That was easy The R8 uses an aluminum-intensive double-wishbone setup front and rear. The Audi drive select system adjusts driving characteristics including steering weight, suspension, throttle and transmission. Inside, the R8 comes standard with the Audi Virtual cockpit, which uses a customizable 12.3-inch display instead of a gauge cluster to relay pertinent info to the driver. Nappa leather seats are standard on the base model, while plus versions get a racing shell seat. A premium sound system is standard on the plus, optional on the base. New Mercedes SL Priced From £73,805. Driverless Cars To Be Tested On UK Roads. Engine Problem Stops sale Of 2016 Honda Civic. VW BUDD-e Electric Van Is Headed For Production.